Injuries have taken their toll on Jurgen Klopp's side in recent weeks, with Manchester City taking the initiative in the Premier League title race after the Reds could only draw against both Leicester and West Ham. Positive news has arrived at just the right time, with the ​Liverpool Echo reporting that ​Jordan Henderson, ​Georginio Wijnaldum and ​Trent Alexander-Arnold all returned to training on Thursday afternoon. 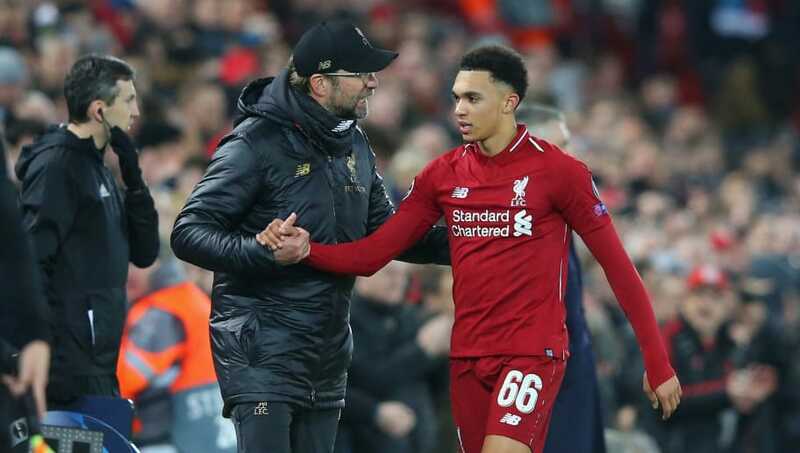 Alexander-Arnold has missed ​Liverpool's last three matches with a knee ligament problem, leaving midfielders Henderson and James Milner to deputise at right back with Joe Gomez also sidelined. Henderson and Wijnaldum were both left out of last Monday's draw against West Ham after complaining of discomfort in training shortly before the match. The duo have responded well to treatment and could return against the Cherries, having been replaced by Naby Keita and Adam Lallana for the trip to the London Stadium. Dejan Lovren, who hasn't played since pulling up in the early stages of Liverpool's FA Cup defeat to Wolves last month, is also approaching a return to fitness but may not be ready for ​Saturday. Gomez underwent surgery this week on the lower leg fracture which has kept him out since December, while Oxlade-Chamberlain was handed a boost as he was included in Liverpool's squad for the Champions League last 16.